If holiday surprises come with a healthy dose of fun and inimitable charm, then we just got the best one ever. …and Sara nearly fainted for the second time upon seeing the amazing writeup and interview. 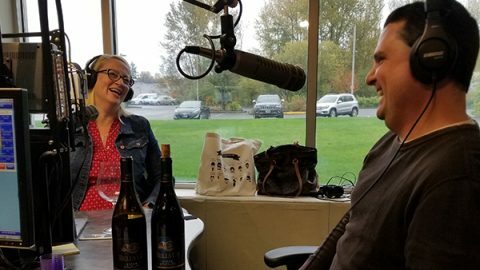 Kelly Mitchell of The Wine Siren and The Huffington Post tapes an interview with Bells Up winemaker Dave on November 11, 2016. 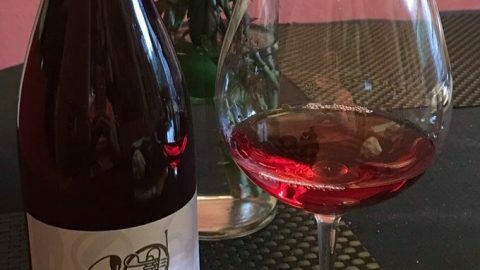 The first near-fainting happened when Kelly showed up on our doorstep on November 11, 2016, having managed to squeeze us into back-to-back-to-back-to-back appointments with a bunch of well-known and highly-respected northern Willamette Valley wineries. Kelly was here to cover the 25th Anniversary of local fundraiser Salud! That she even remembered us or took the time to drop in, visit and taste for a few minutes was absolutely unbelievable and an incredible, and unexpected, honor. 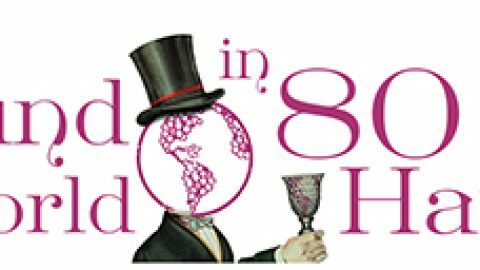 It was truly a delight to meet them and see what is happening with what they call their micro-boutique winery at 400 cases in production. The view is stunning. The juice, worth sipping. And the family one of the most gracious and friendly I’ve encountered. Make it a point. PS. Best by appointment. 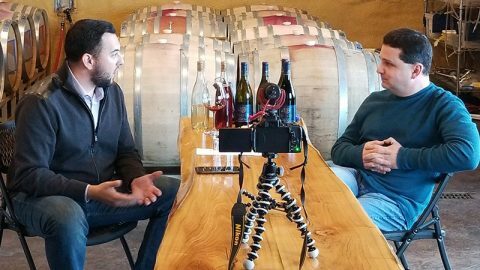 You can read the feature story and watch the video here, or see the interview in the link below (courtesy of TheWineSiren.com). Thank you Kelly. The pleasure was 100% ours, and we hope you can drop back in again sometime soon! Did you know you can review Bells Up on Google+? The Newberg Graphic dropped by. 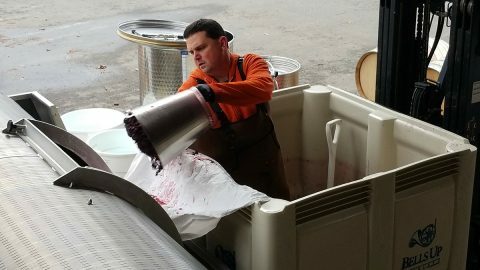 Bells Up Featured on The Vine Less Traveled Wine BlogHarvest 2016: Pressing the pinot noirs.